"Scott Shafer was AWESOME for start to finish"
We went in to look at the new Kona. The dealership was very busy with Loyalty promotion on but our salesman Jesse, after finishing up with a client came right over. Before we knew it we were taking one for a test drive. He explained the levels of option packages and engines and asked what we were looking for and what was important to us . He explained cost differences between them and took us for a 2nd drive in the model that we selected. It ended up being the car we purchased. Thanks to Jesse for his friendly and enthusiastic approach. Our experience was perfect. Tamara is also excellent and very professional. I had a question about the purchase the next day, which was her day off, but she immediately responded to my email with an explanation to clear it up. I appreciate this level of service, it’s extraordinary and rare to find these days. Thanks to you both. It was a wonderful experience of buying a new car from the location. The staff provided the excellent service. Would definitely recommend this location to others. "All round excellent customer service"
Upon arrival I was immediately taken care of by my service advisor that was excellent in every aspect of my service experience with fast top quality work performance on my vehicle. Scott was very knowledgeable, professional and organized. It was a very positive experience. We have bought/leased 3 cars from Scott in the past and will continue to do so. 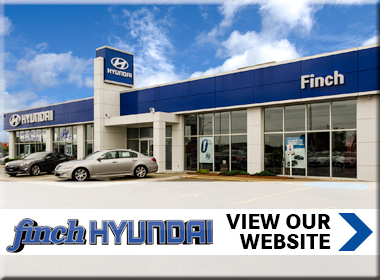 "Felt comfortable from the minute we walked in"
My wife and I went into Guelph Hyundai looking for a second vehicle for our soon to be expanding family. We were met with warm smiles and offers of refreshments and soon introduced to Ryan who would eventually lease us exactly what we were looking for. He listened to what our needs were and not once tried to push anything on us or make us feel pressured. Made us feel comfortable and eased the stresses that accompany car shopping. Very accommodating and we both would definitely love to work with him again. "Scott is the best and this dealership is so great to deal wi"
Scott is the most knowledgeable sales person ever. He is so easy to deal with and really makes the experience fun. He is a straight shooter and really helps you get into vehicle that is best for you. Ask for Scott Shafer....it will be the best move you can make ! The dealership has the most stock you can imagine, so you can see or drive whatever you want. I just purchased my first vehicle ever with Guelph Hyundai and I had a wonderful experience! I Dealt with Alex in sales specifically and he did a great job at making me feel comfortable and happy in my new vehicle! 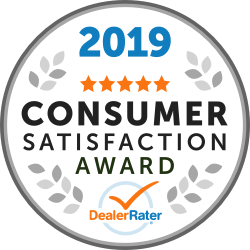 Everyone I dealt with at the dealership was friendly and provided great service!